It is important to know what your pension might be worth at retirement and if it's on track to provide the income you require. The final balance will depend on the contributions paid in and how well the investment has performed. At Rees Astley we can help you meet your retirement needs by conducting an assessment of your existing pensions by way of pension projections and shortfall analysis. Looking at your existing arrangements and forecasting what they might be worth at retirement and the level of income they could produce. If you have an idea what level of income you might require at retirement we can produce a shortfall analysis. 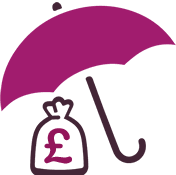 By looking at your existing pensions we can calculate if your desired income can be reached and if there is a shortfall we will identify any additional contributions that will need to be made.